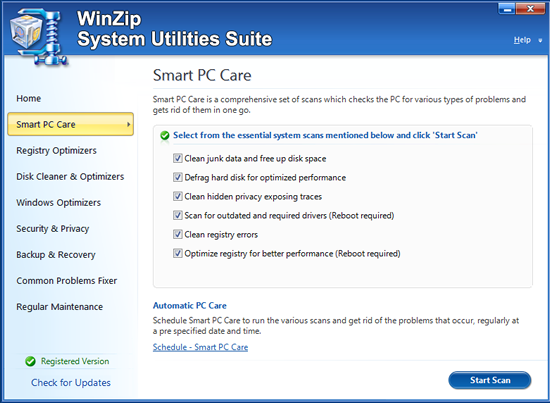 WinZip System Utilities Suite — speed up your computer and keep it running at peak performance with a comprehensive set of easy-to-use PC tools designed to help you clean, protect, and optimize your system. 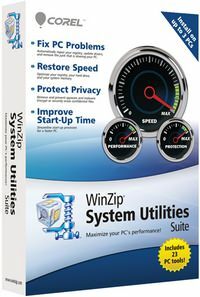 WinZip System Utilities Suite’s extensive optimization features can organize your registry, defrag your hard disk, free unused allocated memory, update out-of-date drivers, and fine tune your system settings for the fastest PC speed and best possible performance—all without requiring more than a few simple steps! 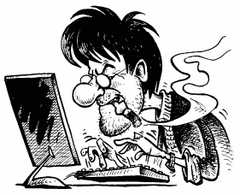 Concerned about losing important information? Don’t worry! WinZip System Utilities Suite comes with extensive system backup and recovery features that protect important system files. There is even an “Undelete” tool that recovers accidentally deleted data! Size: 14,25 / 24,55 MB.